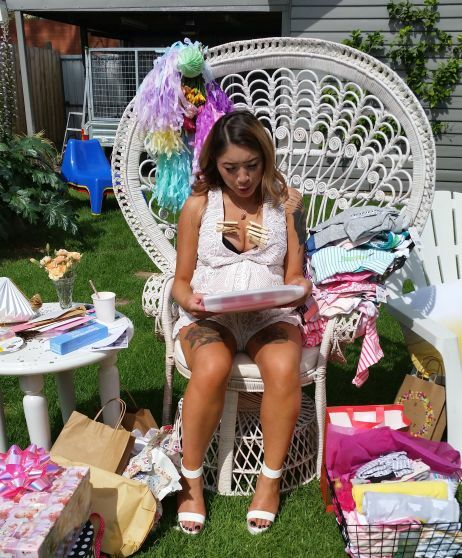 B is for Baby… B is also for Bree, who celebrated her Baby Shower on the weekend in colourful style. 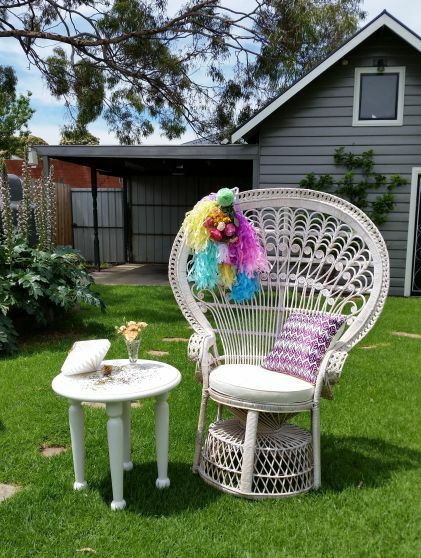 We know that Bree is expecting a beautiful baby girl and her favourite colour is pink, so we decided to go with bold splashes of pink in the styling. 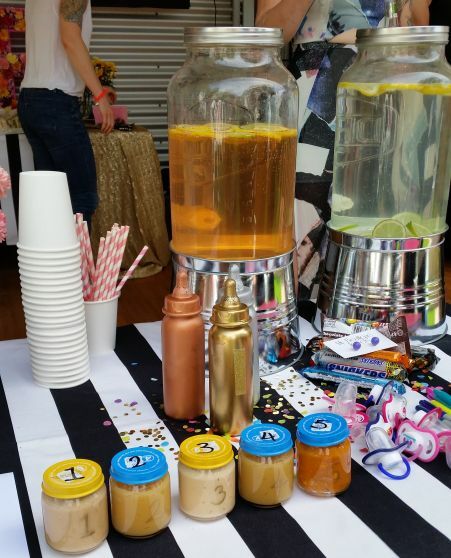 Overall however, the style could be described as colourful, sparkly and fun. 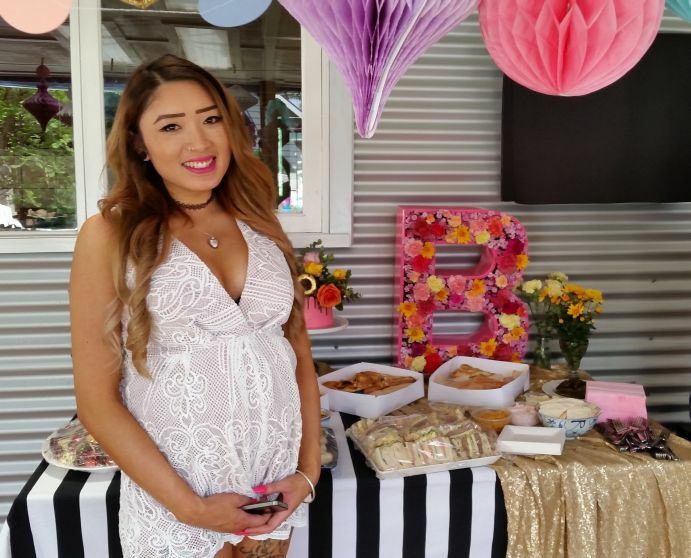 We combined fresh flowers, confetti and gold glitter which made Bree’s baby shower extra special. How absolutely amazing is this cake by Meaghan Cook the Gutsy Baker!? 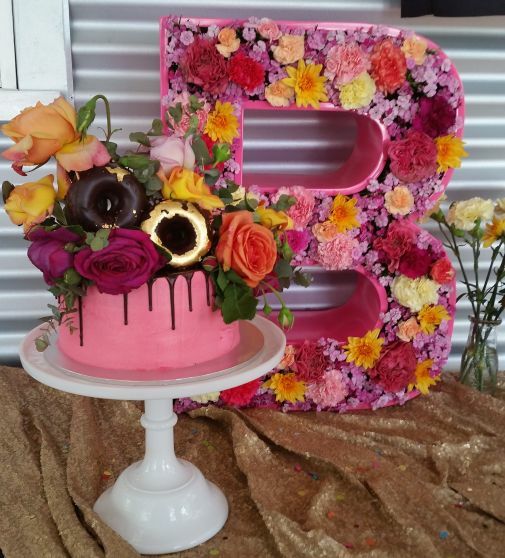 It ended up being the centrepiece for the whole day along with our Giant ‘B’ filled with flowers. 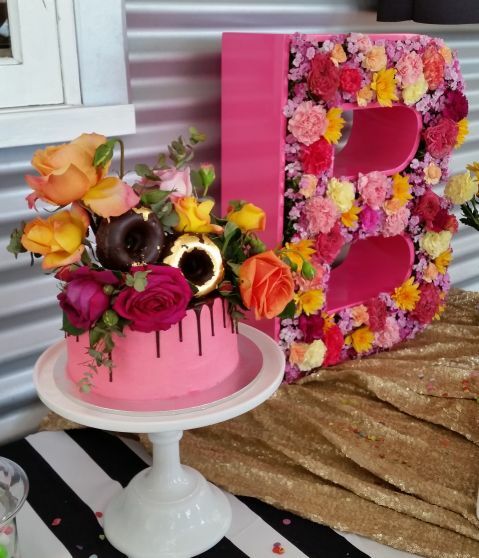 Bree loves donuts and bling so it was fitting that she had gold flake donuts on top of her cake! Games, games, games! 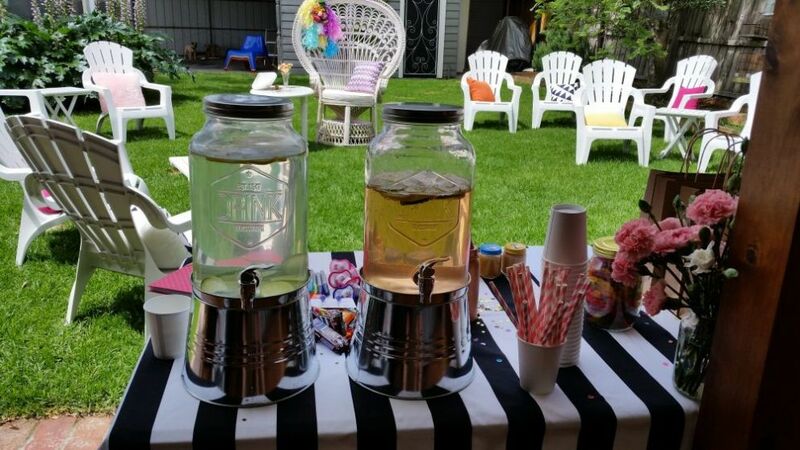 As it was an afternoon tea shower we decided not to have a sit down table for guests to eat at, instead setting up a buffet for some casual snacks before getting right into the games that were planned. To coordinate all of the elements needed for each game we made little game packs for each of the guests. When it was time to play the games each of the guests sat down on the casual garden furniture and were given a game pack each. 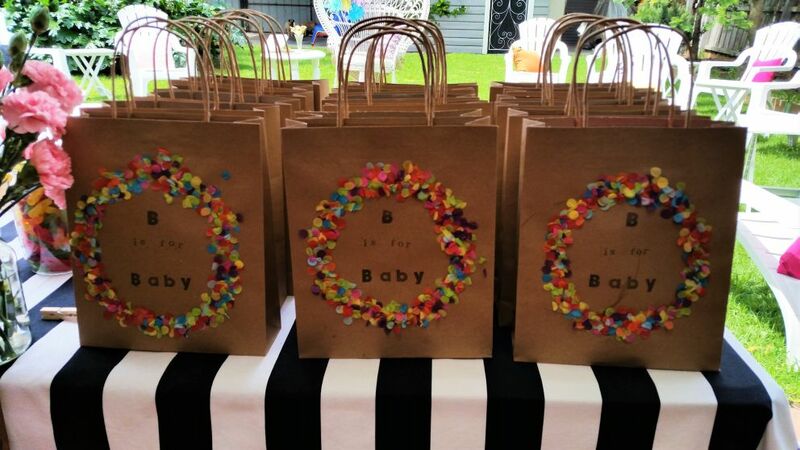 One side of the bags we stamped ‘B is for Baby’ on the other we stamped ‘B is for Bree’ personalising them for guests to have as a keepsake of the day. 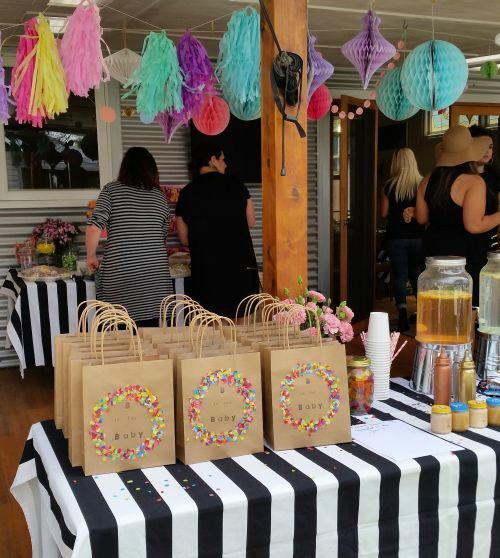 Inside was everything they needed for the games ahead, as well as some treats to take home – a pen, dummy, playdoh, string, spoon, activity cards and of course some chocolate. 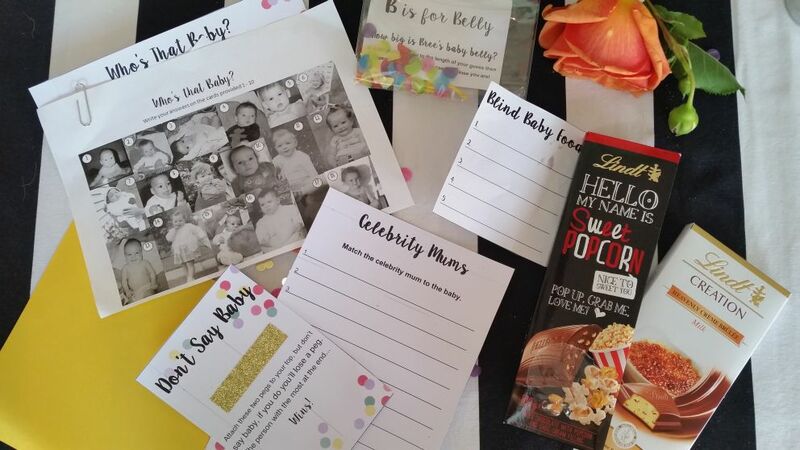 Guess the Celebrity Mum – I read out 8 names of celebrity children and guests had to write down who their celebrity mother was on the answer card provided. 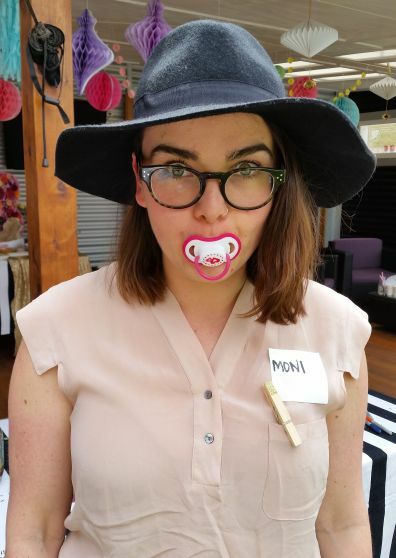 Blind Baby Food Tasting – Guests used the spoon included in their bags to taste each of the 5 unmarked baby foods and guess what the main ingredients were. 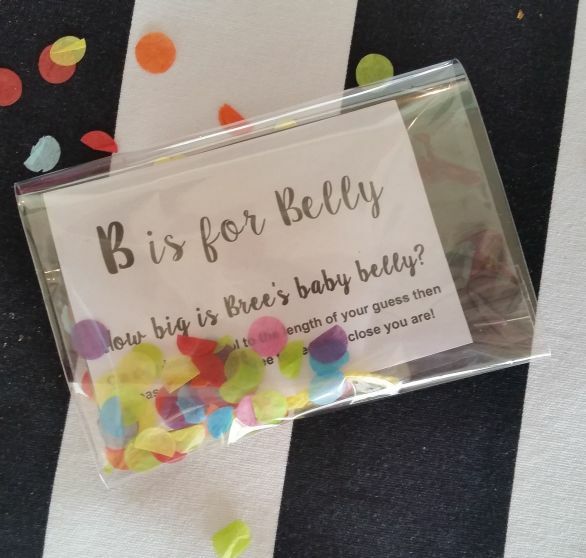 B is for Belly – inside each bag was a small pouch containing instructions and a length of wool (and some confetti for fun), guests had to cut the wool to the length they thought would perfectly fit Bree’s belly then measure it around her to see who was closest. Who’s that Baby? – before the day everyone provided baby photos of themselves. 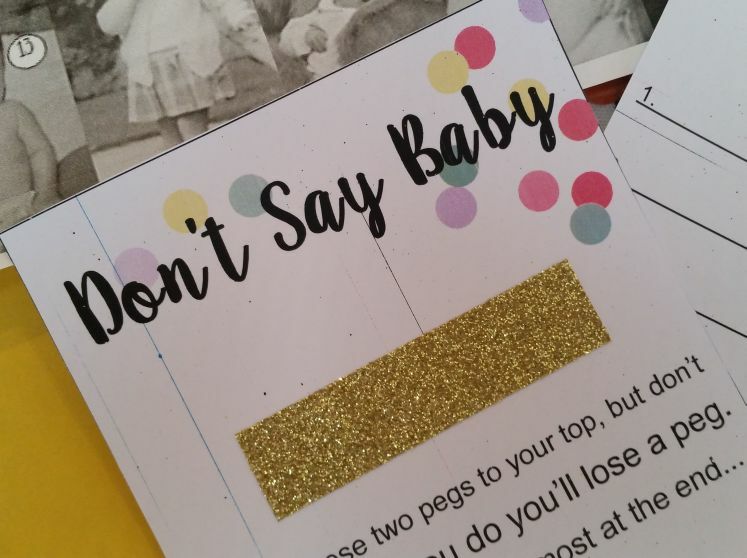 So inside the pack was a card showing everyone’s (black and white for a more even playing field) baby photos, guests then filled in the answer card to guess who was who? Great fun and not as obvious as it seemed. Name the Baby Tune – Playing just 10 seconds of each ‘baby themed’ song to then be guessed. 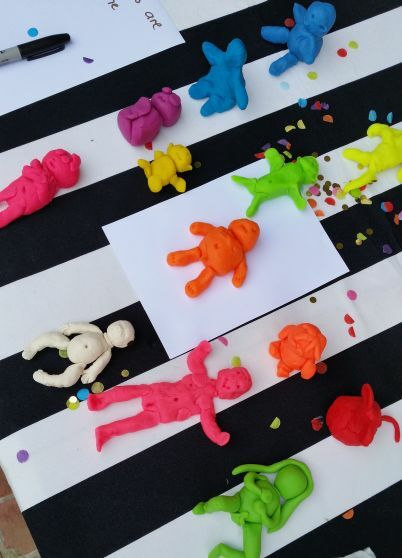 Baby Making – There was a small tub of Playdoh inside each pack, guests each tried their hardest to make a baby out of playdoh. Prizes were given for ugliest, most creative and best overall. Spit the Dummy – Standing behind a line everyone had a turn at spitting the dummies as far as they could, this was hilarious with the process making some players gag. 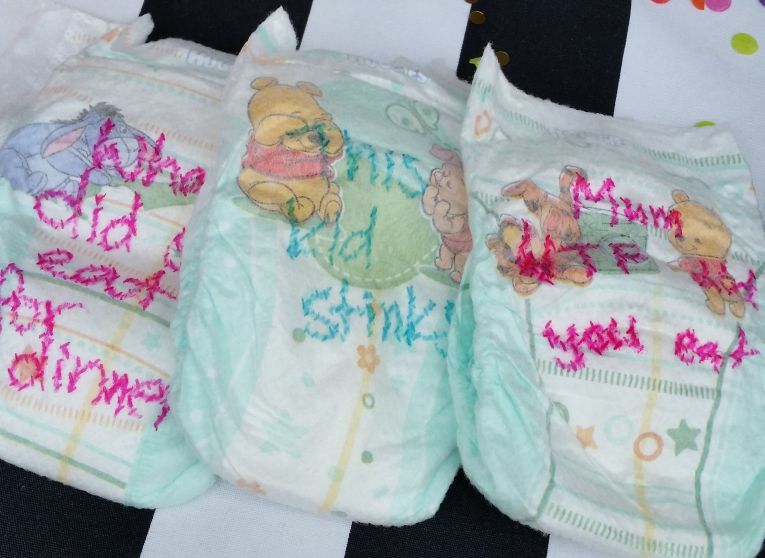 Nappy Memos – Everyone had a couple of nappies in their bags to write a memo on, so when Bree is changing 100s of nappies at all times of the day or night she can have a giggle at the memos. How many Babies – squashed inside the jar were a couple of hundred jelly babies, everyone had a guess at how many they thought were enclosed and closest guess won. Of course a princess chair for Bree to sit in when she opened her presents as everyone sat around her oooohing and ahhhhhing. I am so happy to have been able to shower Bree with flowers, confetti and gifts. We all just cannot wait to meet the little person she is doing such a great job of growing. And here’s just one more photo of the cake because we love it so much.